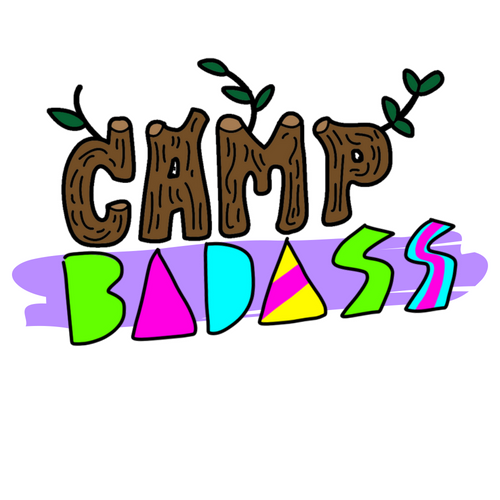 Camp badass will RECONNECT YOU WITH THE FEISTY & ADVENTUROUS GIRL YOU USED TO BE. Reignite your energy and creative spark. Form a lasting sisterhood with other women who get it. Go from a scattered mess to one cohesive, focused and amazing woman. Camp Badass is the first day of weekend retreat for women who are ready to get creative, have fun, and take the stress out of your life and business. Because having FUN is Badass! ready to face the challenges of balancing life and business from a whole new perspective. You want to be a part of a community of women who support and value each other. You are interested in getting quick tips for stress management & communication techniques to add ease to your daily life. You spend all of your energy taking care of everyone else, but at the end of the day, you feel as though you have nothing left for yourself. You miss the woman you used to be before your to-do list took over and want to reunite with her again! Activities, Workshops, Tasty Food, and Much More. There is no better way to UNLEASH YOUR INNER BADASS then to do some activities that take courage. We will have Trapeze, Zipline and other cool experiences for you to step outside of your comfort zone and step into confident and powerful self. What is camp without camp activities that boost creativity and encourage fun and joy? You can expect all the classic camp icebreakers, a few twists on traditional activities and there will also be many other unique activities created just for Moms. So much of having a fulfilling life is satisfying relationships, yet most of the time it is the biggest challenge. We will share quick tips to help you create deep and lasting relationships with friends, family and especially with clients. There are never enough dance parties in motherhood. Together we will laugh, dance and shake our way to reconnect with that inner child who needs an outlet for all the fun she’s been missing out on since she became responsible for other human beings. Between navigating everyone’s schedules, emotional needs, and running a household, there is very little time to manage the overwhelm. Learn techniques in our Mindful Minutes to help reduce and eliminate stress, while promoting balance and healing within the body. There will be several opportunities to express your creativity during this event. Just like your kids would do for you while they’re at camp, you’ll create fun arts and crafts that you can take home to show your kids so they can see what you did while you were at camp! Without music, life would be boring! And no camp day is complete without plenty of songs to help energize and motivate everyone. So we’re making sure to create a soundtrack of fun while you’re here at Camp Badass. Get ready for serious moving and shaking that keeps you on your toes … literally! Good food can make a good day better. And we’re making sure to provide you with tasty, delicious food throughout the day. We will be serving breakfast, lunch, and healthy snacks to keep your energy up. There will also be plenty of water to ensure everyone is hydrated during all the activities. Camp Badass is the gift that keeps on giving. And every Mom deserves to get pampered with beautiful gifts just for her. After a fun-filled day of camp activities and enriching workshops, you will receive an awesome swag bag filled goodies that will be both useful and blissful! 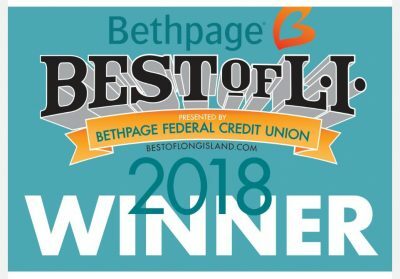 Chosen as the best in Long Island in 2018! You get one full day of camp activities, arts and crafts, and of course, mindful minutes with quick tips on communication, stress management, and self-care. You’ll also be pampered with a delicious breakfast, lunch, and healthy snacks. Plus, plenty of water. Don’t forget, you’ll also receive special treats throughout the day and an awesome swag bag filled with goodies for you to take home! Full refunds will be offered until May 31st, 2018 After that you will be charged $75. What if I do not want to participate in one of the activities? Although we hope that you will try and participate in everything that we have lined up, you do not have to do anything that you are uncomfortable doing. We will have activity options for everyone with varying degrees of adventure. Are you providing child care? No. It is important to the integrity of the event that only women attend. We are certain that it will be worth your while to come to the event and your family will also benefit from having a happy Mama at the end of the day. No. We will require the final number of participants well in advance to prepare for the event. We will not be selling tickets after Friday, July 13th, 2017. Do my kids need to go to Driftwood for me to attend? No. This event is for all women, from anywhere and everywhere. If you are a Driftwood Mom, you already know how awesome this camp is. If you have never been to Driftwood, you are in for an incredible treat! Fill out your information below and let's get started.